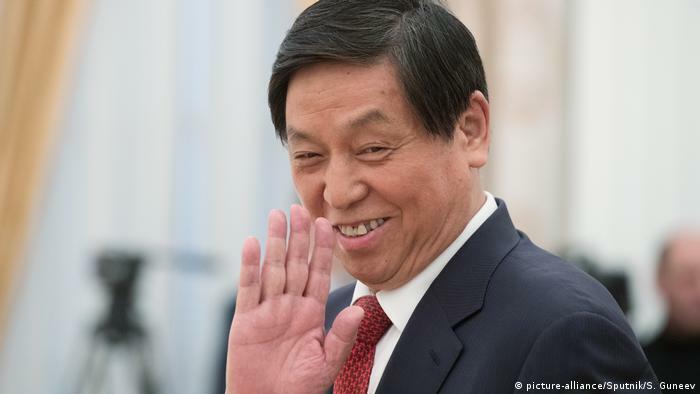 Chinese multinational tech giant Huawei Technologies opened a new information security lab in the German city of Bonn last month. Some observers see the move as designed to butter up German regulators ahead of the country’s 5G mobile spectrum auction. The German network regulator (BNetzA) is finalizing the terms for the 5G licensing round it plans to hold in the first quarter of 2019. The total cost of building Germany’s 5G networks could be €80 billion ($91 billion) and this means high stakes for Huawei and its rivals Ericsson, Nokia, ZTE and Samsung. Germany doesn’t have its own indigenous telecoms hardware industry to speak of and maintains close trade and investment ties with Beijing. The German interior ministry has said there is no legal basis to exclude foreign equipment providers from the country’s 5G system and no such measure is planned. There is no formal bilateral agreement on preventing commercial cyber espionage between Germany and China, but the number of known China-originated commercial cyber espionage attacks on German companies has dropped in the past two years, according to the Australian Strategic Policy Institute (ASPI). This is corroborated by the Federal Office for the Protection of the Constitution (BfV), Germany’s domestic intelligence agency. The fall has been linked to an increase in Chinese foreign direct investment in high-tech and advanced manufacturing industries in 2016. BfV head Hans-Georg Maassen has linked the decline to an increase in the use of legal tools for obtaining the same information, such as corporate takeovers. “Industrial espionage is no longer necessary if one can simply take advantage of liberal economic regulations to buy companies and then disembowel them or cannibalize them to gain access to their know-how,” Maasen said. Britain’s BT Group said this week it will remove Huawei Technologies’ equipment from its core 4G network within two years and has also excluded Huawei from bidding for contracts to supply equipment for use in its core 5G network. However, a ban remains unlikely in the UK, due to the advanced stage of Huawei’s involvement in 5G development in the country. 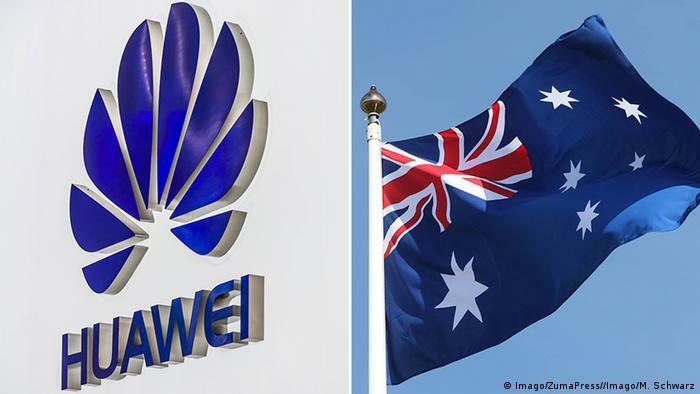 New Zealand has also rejected Huawei’s first 5G bid, citing national security risks while earlier this year, Australia banned Huawei from supplying 5G equipment for the same reason. The US is putting increased pressure on its political allies, including Germany, to exclude Huawei from their next-generation mobile networks. Washington has long said Huawei and ZTE, another Chinese hardware maker, are potential menaces to security and privacy. US authorities have pointed to China’s national intelligence law, which they say could force Chinese companies to facilitate spying efforts in other countries. US authorities cited the issue when they blocked Broadcom’s hostile takeover of Qualcomm earlier this year. 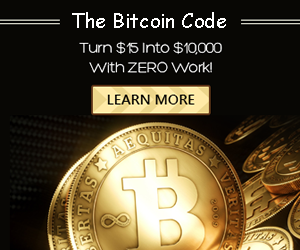 In 2013, the US Commission on the Theft of American Intellectual Property estimated that the theft of Intellectual Property was $300 billion (€257 billion) annually, with 50–80 percent of the thefts attributed to China. But why is it all such a big deal? “Many states are concerned about using Chinese telecommunications and technology companies in critical infrastructure companies for a range of reasons,” Daniella Cave, a specialist on cyber security at ASPI, told DW. Firstly, she says, the Chinese state has a history of aggressive and wide-ranging espionage and intellectual property theft. Secondly, the national intelligence law they introduced in 2017 compels organizations and individuals to participate in intelligence activities and to keep secret the intelligence activities they are aware of. Thirdly, there have been allegations that Chinese companies have been complicit, knowingly or unknowingly, in the theft of secrets and valuable government data, Cave says. “I think the Chinese state’s introduction of the national intelligence law is going to place suspicion on the international activities of most of China’s large companies going forward,” Cave says. “But it’s a double-edged sword for China, as the Chinese Communist Party has made it virtually impossible for Chinese companies to expand without attracting understandable and legitimate suspicion,” she adds. Cave believes most developed states will be looking at ways in which they can move away from the use of Chinese products in their critical infrastructure. China’s Politburo Standing Committee: Who’s who? 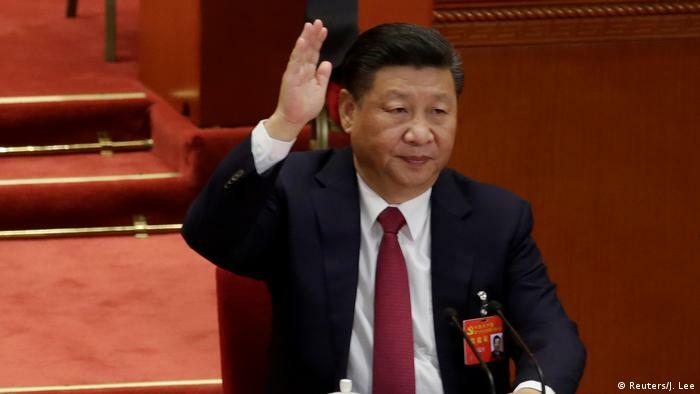 With the inclusion of the “Xi Jinping Thought on Socialism with Chinese Characteristics for a New Era” in the constitution of the Communist Party (CPC), the president has taken a huge step toward consolidating his leadership beyond 2022. Xi has been given the customary second five-year term as the CPC’s general secretary and has laid the foundation for a possible, unprecedented third term. 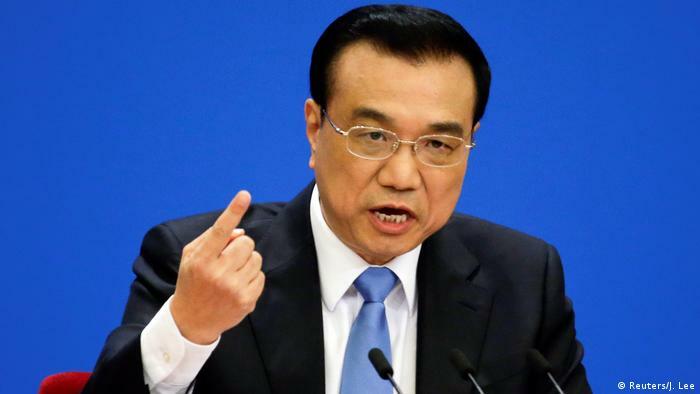 The 62-year-old Li is primarily responsible for China’s economic and social affairs. As prime minister, Li has also been working on minimizing air pollution. He is the only member of the committee apart from Xi to remain in his place. The other five are newcomers who replaced those who retired having reached the unwritten age limit of 68. Li Zhanshu is a close confidant of President Xi’s. He heads the CPC’s General Office. A former governor of the northeastern Heilongjiang province, Li often accompanies Xi on foreign trips. Li and Xi have been friends since the 1980s, when they worked together in Hebei province. 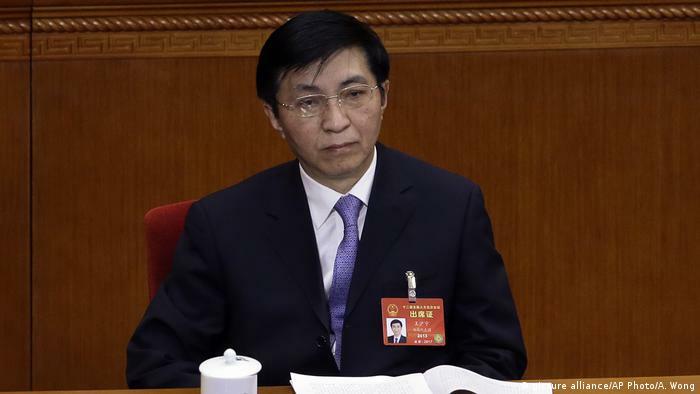 Wang Yang is an economist and a former party chief of Guangdong province. For a brief period, Wang was an advocate for social and political reforms in the country. He is responsible for foreign trade, including commerce between the United States and China. Sixty-two-year-old political scientist Wang Huning served as a policy researcher under Presidents Jiang Zemin and Hu Jintao. 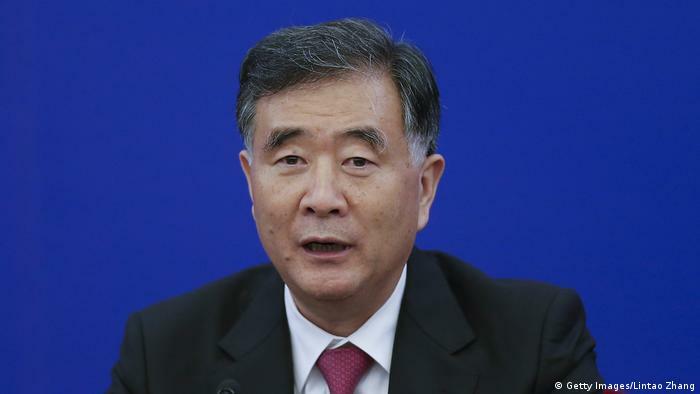 Under Xi, Wang has kept his position as head of the Central Policy Research Office. He coined the terms “Three Represents” and “Scientific Outlook Development” — respectively, Jiang’s and Hu’s contributions to party thought — and the “Chinese Dream” as part of Xi’s vision. 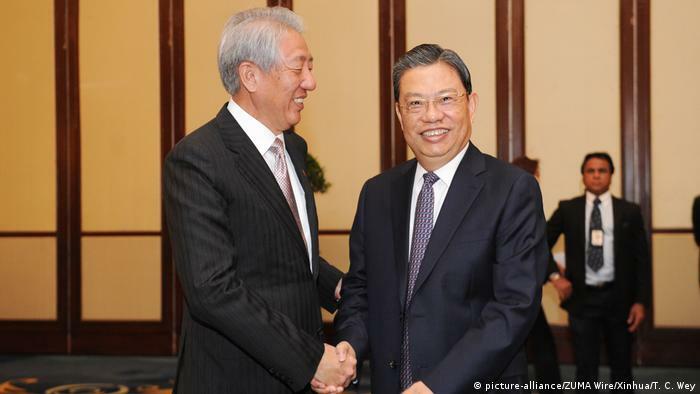 Sixty-year-old Zhao Leji (right) studied philosophy at the prestigious Peking University and began his political career in the western province of Qinghai. Since 2012, Zhao has headed the CPC’s powerful Organization Department, which oversees personnel decisions. Zhao and Xi are both natives of Shaanxi province in central China. 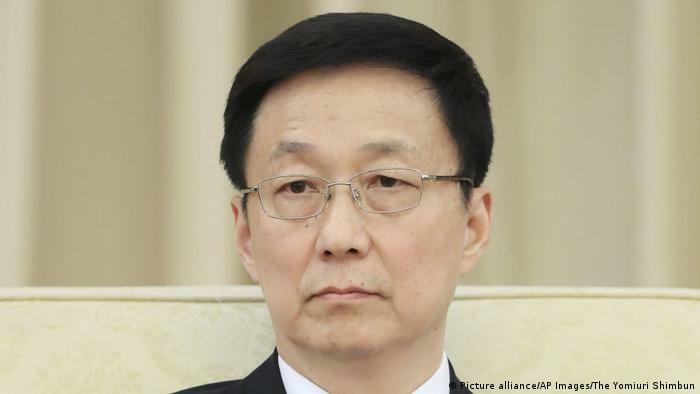 Han Zheng, 63, has been the mayor of Shanghai for the past 15 years. In 2007, when Xi briefly became the party’s secretary for Shanghai, the two worked together in China’s financial hub.